Understanding unethical behavior is essential to many phenomena in the real world. The vast majority of existing studies have relied on stated behavior in surveys and some on incentivized experiments in the laboratory. In this paper, we carry out a field experiment in a unique setting. 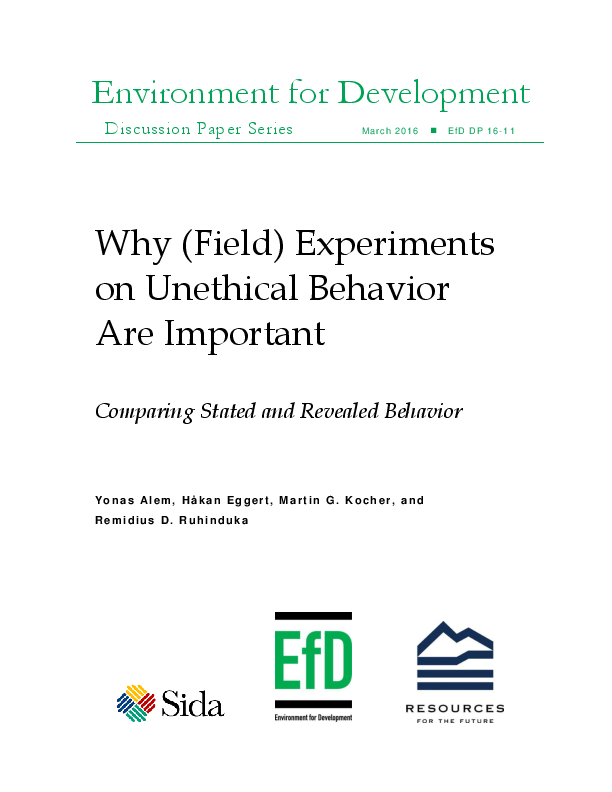 A survey more than one year before the field experiment allows us to compare stated unethical behavior with revealed behavior in the same situation. Our results indicate a strong discrepancy between stated and revealed behavior. This suggests that, given a natural setting, people may actually behave inconsistently with the way in which they otherwise “brand” themselves. 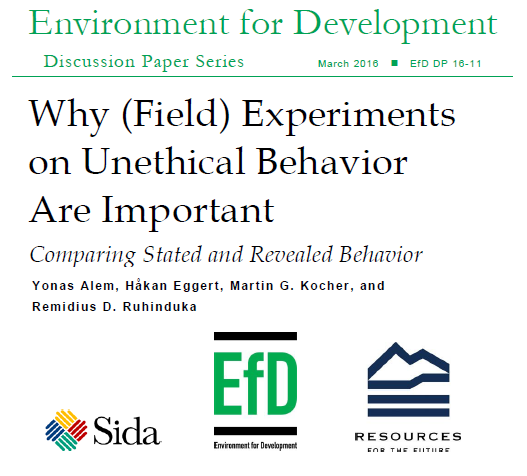 Our findings raise cautions about the interpretation of stated behavioral measures commonly used in research on unethical behavior.